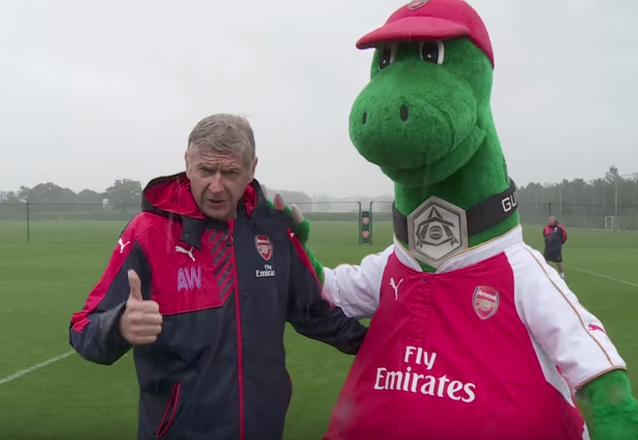 At a rain-lashed London Colney, several of Arsenal’s stars took part in the viral ‘Dizzy Goals’ challenge yesterday to help raise money for the Global Goals campaign. First up were Mikel Arteta and Theo Walcott who both faired equally poorly (despite somehow escaping with a 100% scoring record) before the club’s real big hitter stepped up to the plate. Just so you know, the Dizzy Goals Challenge aims to raise awareness of The Global Goals – a series of ambitious targets to end extreme poverty, fight inequality and tackle climate change to be agreed by 193 world leaders at the UN on 25th September. It’s not just professional footballers dicking around. It’s all very worthy stuff.